While perceived lack of value (where value is represented by transparency and fair pricing) is a top reason for not using a dealership for maintenance and repair services, actual spend for services such as an oil change suggest that dealership pricing is competitive with third-party providers. 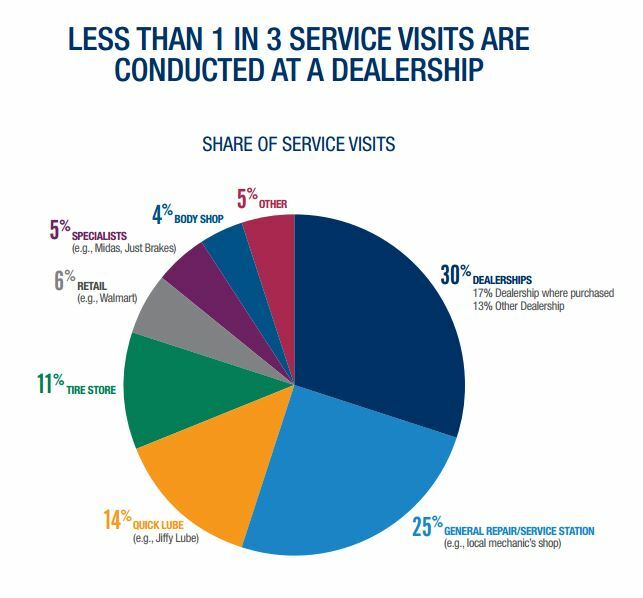 As a result, dealers have an opportunity to compete with independent service providers by offering and promoting competitive pricing and price match guarantees while focusing on advertising messages about high-quality service (e.g., parts and certified technicians). Automated service reminders and recall integration is key for progressive dealers to create customer awareness of critical vehicle maintenance and repairs while also building brand awareness for your dealership. Not only can this type of customer relationship management enhance customer satisfaction, it can also maximize profit potential for your service department by generating manufacturer-pay work orders during regular service appointments and additional customer-pay revenue opportunities during recall visits. Immediate access to messaging, email, media and other online functionality through smartphones has generated a sense of entitlement to fast, simple and efficient experiences. Time-starved consumers are increasingly driven by the ultimate convenience of real-time, on-demand choices and the majority of car owners schedule an appointment rather than walking in. Dealerships need to align their service models to consumers’ growing appetite for greater convenience, speed and simplicity by implementing online scheduling and making customers aware that you offer this convenience. Find out what you can do to take better advantage of potentially lucrative service opportunities. Also check out Spectrum, the industry’s first cloud-based system that helps dealerships create an outstanding service and ownership experience designed to turn one-time customers into repeat buyers. For this study, an online consumer survey of 4,455 participants was conducted. 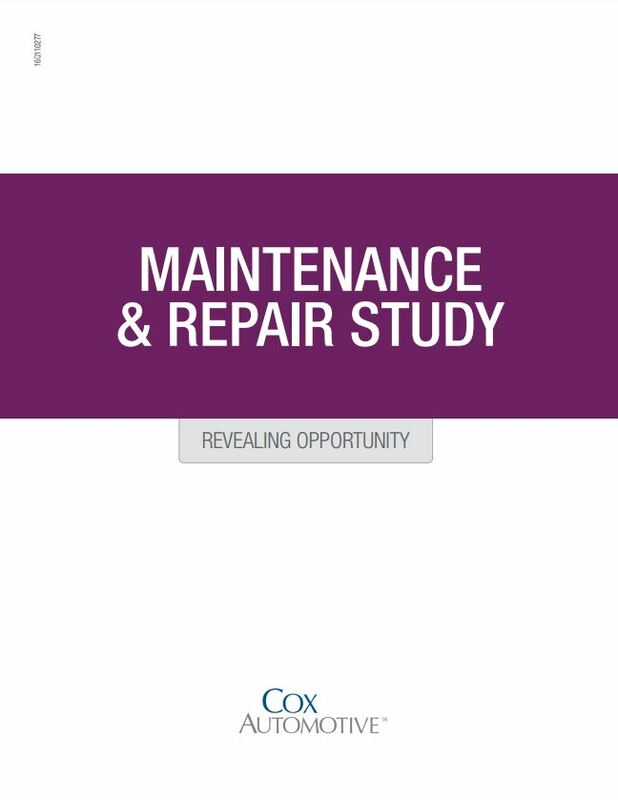 In order to qualify for participation in the study, respondents had to have maintenance and/or repairs service performed on their vehicle by a third party at least once in the previous 12 months. Participants were required to be the primary decision maker for the vehicle regarding repair and maintenance. Data was weighted to ensure respondent demographic representation (based on census) and vehicle representation (based on new/used purchase and age of vehicle). An additional 517 survey completions were gathered using the MFour mobile panel in order to better understand automotive maintenance and repair services usage and perceptions among a heavy mobile population (these results were not weighted). MFour, a leader in mobile market research, uses a survey app that leverages mobile devices and their unique features to gain the most accurate data. With fixed-ops comprising the majority of dealership profits, how can you gain more market share and continue growing profitably? See the complete study results.